Have you ever wanted to be a ninja? 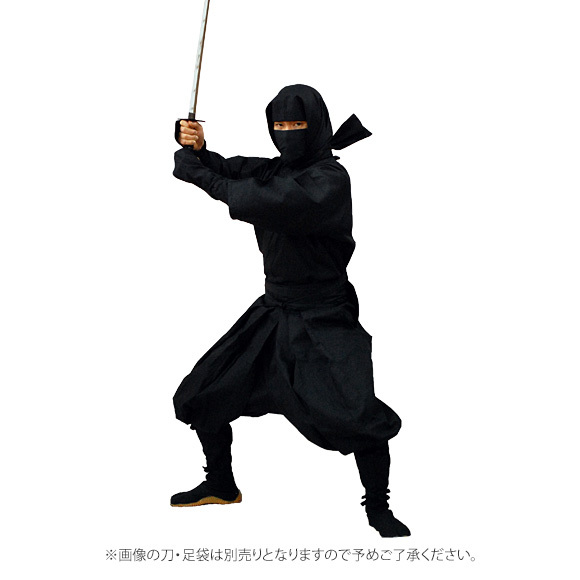 From the Waring Period of Japan to the modern day, the word “Ninja” has become quite infamous among those who hear it. 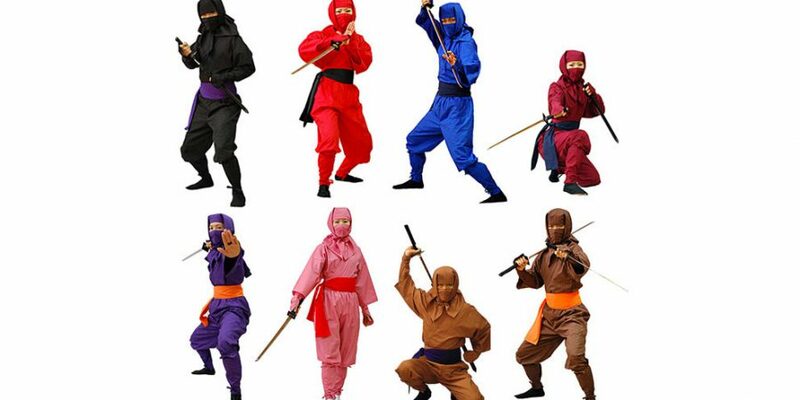 A Ninja on the other hand is not a person but a group of people. 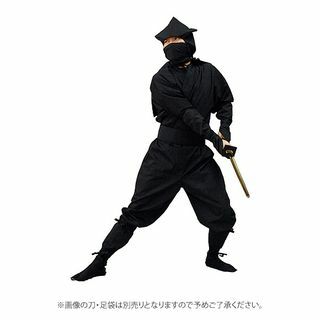 Iga City, in Mie Prefecture Japan, is known for its history of being a real Ninja Village. “Ninja’s” despite the infamous image we have of them know, were not always Ninja’s. In our understanding of them, they were mostly made of up merchants and farmers who wanted nothing more than to protect the ones they cared about. All of the products we have available are from the Mie Prefecture and are authentic! The sets all have a uniqueness to them so please have a look! In feudal Japan kerchief were worn by women in cold weather to cover the whole head except for the eyes. This made the Ninja completely hidden; hiding all parts of their body. They come in several different colors! ＊Depending on the color, the price is subject to change. The hood is made of one long 200cm x 48cm cloth, so that way it can disguise your face, be used to assist a fallen alley and be used for a rope. A ninja with a endless amount of possibilities. We have 2 colors available and 3 sizes. Though in TV shows and movies, you often see the Ninja up against the Samurai, this was not always the case! 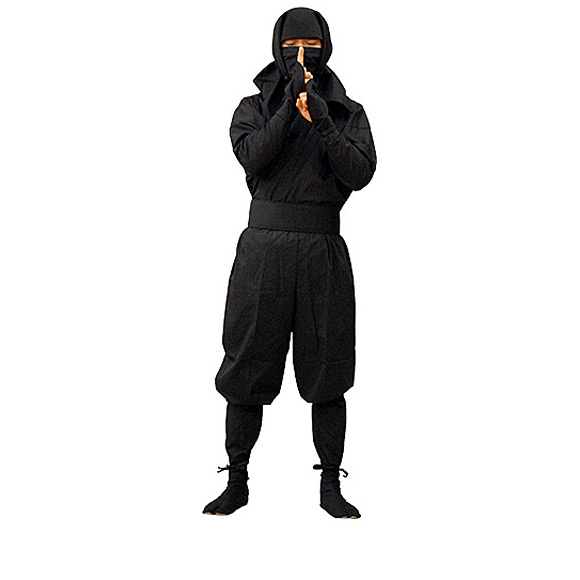 This Ninja outfit was commonly worn by the male from a Samurai family during the Edo Period. Well known from its part in the story Furama Tengu. Where the Ninja was known for his high level status. It is easy to wear and perfect for the speedy Ninja! We have 3 different sizes, but it is only available in black. ＊Depending on the color, the price is subject to change.. The Flat Hood. A ninja with a endless amount of possibilities. The hood is made of one long 200cm x 48cm cloth, so that way it can: disguise your face, be used to assist a fallen alley and be used for a rope. 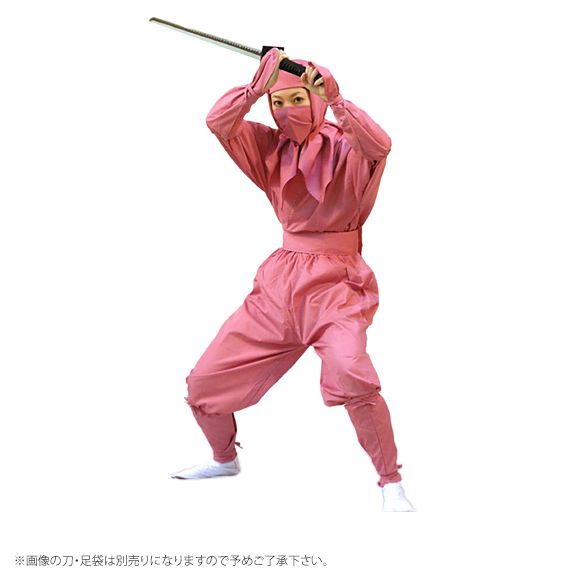 The Ninja look that most fits the Ninja Village of Iga in the Mie Prefecture of Japan. Often this style was used by, Carpentry men, Samurai, and even dancers. Because of a large slit in the back it is easy to move around in. Perfect for any in-devour that requires a lot of action. Only available in Black and 3 different sizes. 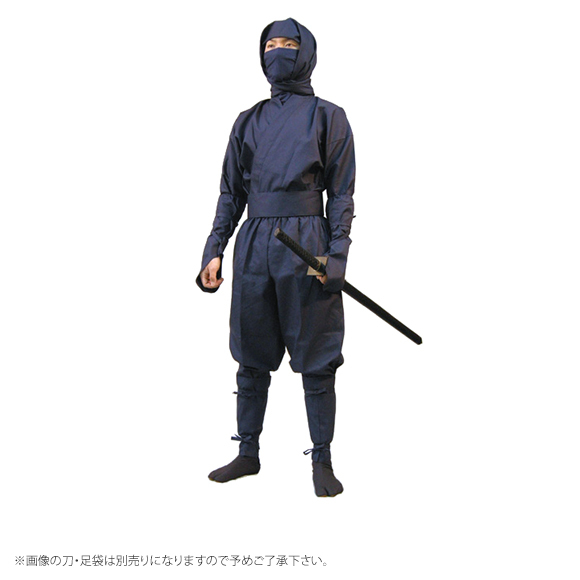 Iga Hakama Ninja Flat Hood 7 Piece Set. く(ku) ノ (No) 一(ichi) are the three pieces that make up the Kanji 女(Woman) which was often used when the Ninja was female. With 2 different colors available, it is great for parties or events. Femail Wind (Moon) Ninja 5 Piece Set. This 7 piece set has its origins in the Iga. 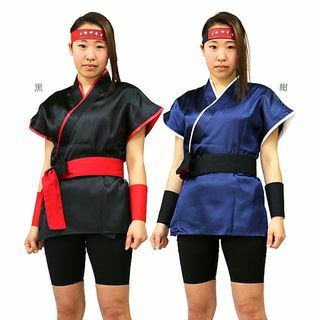 Its made very carefully by a professional Kimono maker and its 100% Cotton! 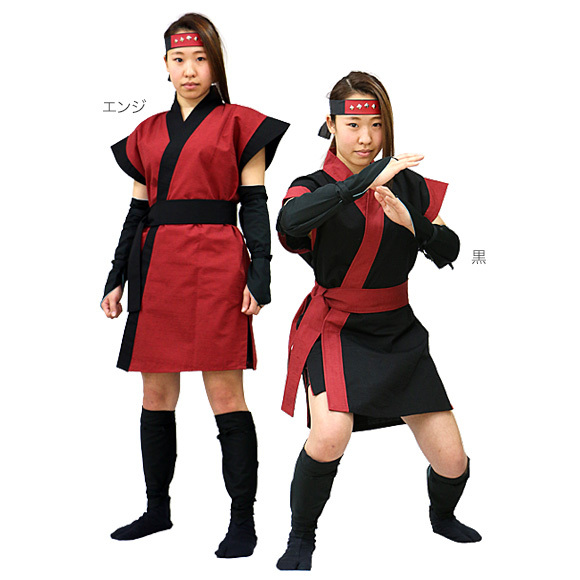 I would like to order a Flat Hood Ninja outfit but do not live in Japan and I am not sure how to get a quote or order. Can you help me? I would like to have it by February 8, 2019 if possible. Please let me know if you can help. Thank you for your comment David! If you do not mind could you please include your information as to where you would like it sent, when, and how many you need to our email at global@event21.co.jp ? If so I will make a quote for you as soon as possible. Please also be sure to put in a phone number so we can contact you if the email does not go through!